When I woke up this morning and saw some sun and checked the temperature I decided I had to get out for a little bit before spending the rest of the day behind the computer. 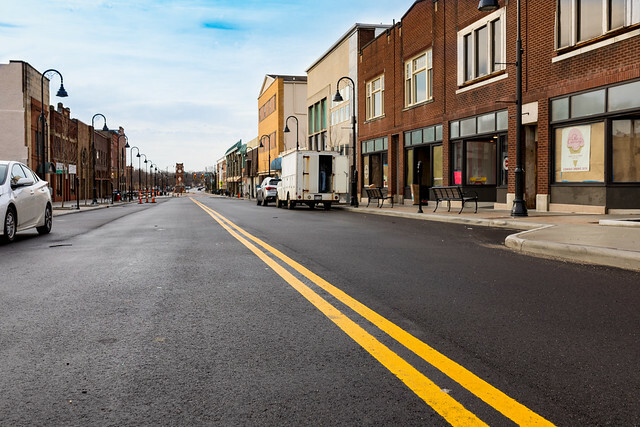 So I grabbed my bike and camera and rode down to Front Street to check out the (now open) road where the pedestrian mall was. They did a nice job on the design and I do believe the district will take off. There was a lot of places to lock my bike but my one gripe would be that it doesn't look like there will be dedicated bike lanes - the street is quite narrow. 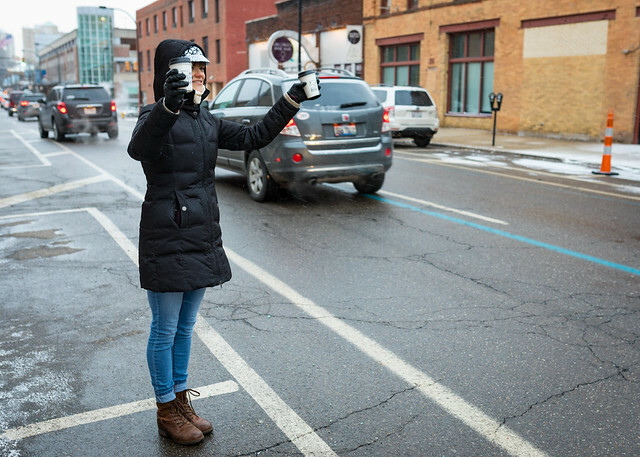 I know this should slow traffic but I also know how impatient drivers are with bikes - and even though it will only save them a matter of seconds they will try to squeeze by. Late yesterday afternoon I decided to take a break and go for a hike on my usual route - over the High Level Bridge and down into the Gorge. 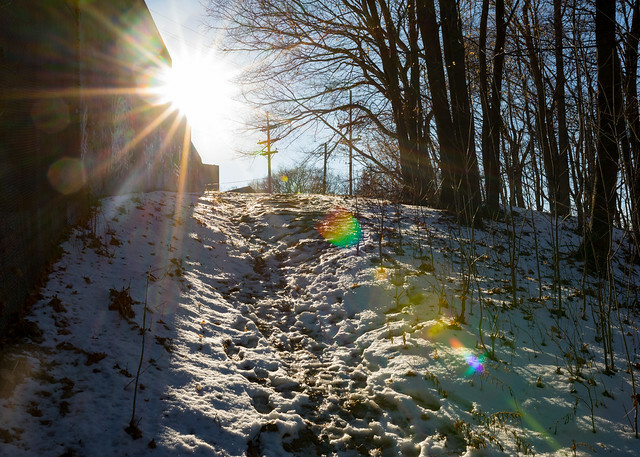 I figured I could get some cool photos with the sun and the snow. Unfortunately I didn't get very far before I was slipping everywhere and had fallen down twice. I looked down the icy path and realized this wasn't going to be any fun. So I snapped a few bridge photos and headed for a walk around my neighborhood. I was setting up senior portraits for some friends last week and Erin happened to be around to be my test model. This is my standard two light(in soft boxes) set up. The one one the left set at a lower power to create a little shading. Simple, quick and effective. 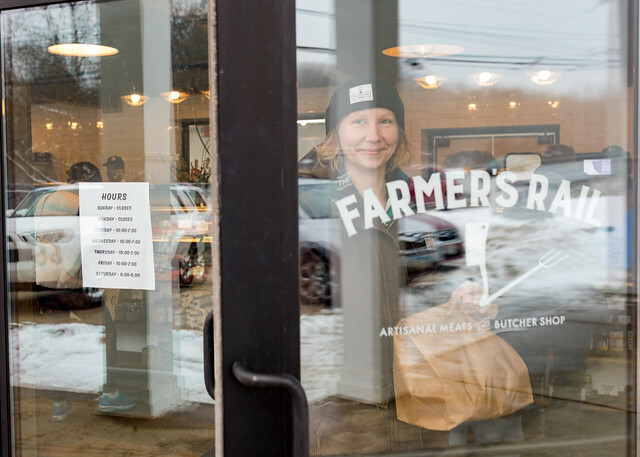 Erin and I went and checked out the new butcher shop that Brunty Farms opened - The Farmer's Rail. Its on Cleveland-Massillon Road in Bath in the building that used to be the Flower Hutch. The shop specializes in selling meats & eggs that were raised on their two farms. 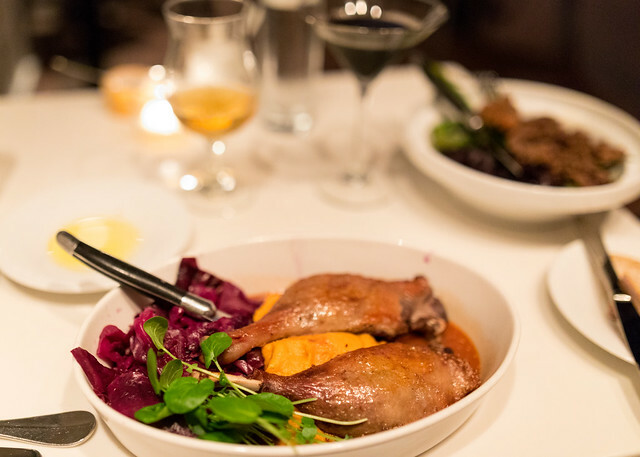 The also supplement with products that are locally sourced or of high quality. We picked up some jerky, salmon, butter & other accouterments. It looks like the place is off to a great start as it was quite crowded. I bought my Thanksgiving Turkey from Brunty and have been eating their sausages and other meats from the Countryside Conservancy Farmers' Market for a few years - so it is nice to see them have such a great storefront. Otis at Dirty River Bicycle Works convinced me that I could rider in the snow after I had all but given up. He sold me some steel studded tires for my old Trek mountain bike....and I was blown away at the difference they make. Last night I went out for a snowy ride on the Towpath with my friend Ben to try them out again. They are really amazing - its great not to be limited in my winter riding anymore. This is a short video I made last night in Summit Lake with my GoPro on my seat post to demonstrate. I uploaded this directly to Blogger and I'm not sure why the html to change the size of the player won't work - but it has the option to make it full screen - so click that!. 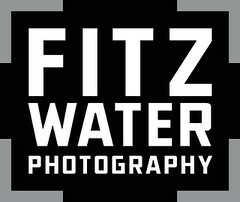 This is the first Fitzwater Photography Show I've made since last Spring. Making these kinds of videos is a strange thing for me - I really like making videos and sharing my opinions but I really hate being on camera. I only watch these while I'm editing and to check the upload and then I can never look at them again. As I've said in the blog and on the show before, though, is that if I didn't force myself to do this kind of thing I would have never learned how to do audio and video - which now makes up a nice percentage of my business. Anyways - this is a little ramble about how happy I still am with the purchase of my Canon 5D mark IV a year ago. I had a glass artist coming into the studio who has a specific way he like things shot. I've worked with him a few times so I know he likes minimal highlights on the objects and a gradient on the backdrop. It had been a little while since I photographed his stuff so I decided to set up a couple test shots while I waited for him to arrive. 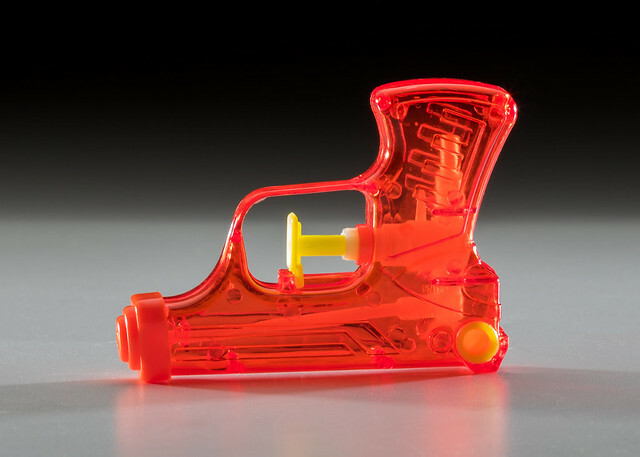 This squirt gun suited my needs as a stand in. The trick for these, I've found, is to back light the art with a couple of grid spots. I had been hoping to get to Local Brew in the Northside Marketplace this weekend for their grand opening - they had a few special Thirsty Dog beers that I wanted to try. 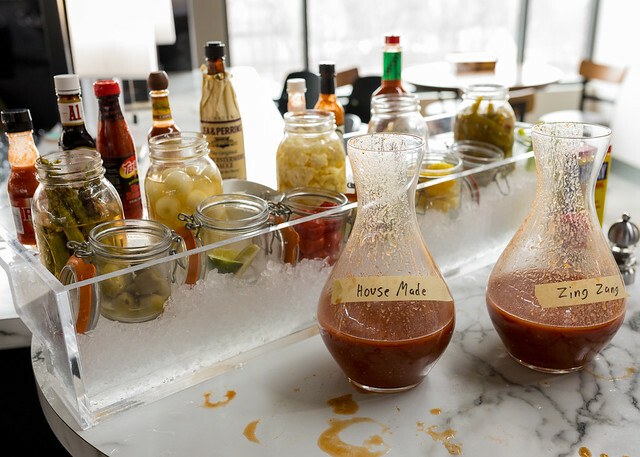 I ended up working on Friday & Saturday night so I didn't make it....but this morning Erin suggested we go and check out their Bloody Mary Bar. The bartenders poured the booze and ice and then we got to choose the mixes, spices and other accouterments. I also tried the Thirsty Dog Pineapple IPA. Being so early we didn't try out the other new Thirsty Dog - and Imperial Siberian Night with Bent Tree Coffee - it was 12% alcohol. I stopped by my favorite coffee shop, Akron Coffee Roasters, this morning to capture some photos for the owner, Albert - interior shots for their website. What I didn't know is that Eva would be standing out on High Street passing out free coffee to commuters to promote their new drip coffee that will be available from 7-9 am on weekdays. It was freezing. They are crazy. Anyways - I had to take a few snaps.